A complete list of all programs, activities, and classes can be found by logging into the ActiveNet portal. The mission of the Community Services Department is to improve facilities and activities that are offered, by strategically leveraging existing business opportunities and partnering with community leaders on high-quality programs focusing on innovation, cost effectiveness and superior value for users. The Dave White Golf Course is an 18 hole, par 72 championship course located along the North Branch of the Santa Cruz Wash. Dave White is the only Municipal Golf Course in Pinal County and is open year round for great golfing in Casa Grande. For more information, click here to visit the Dave White Golf Course page. 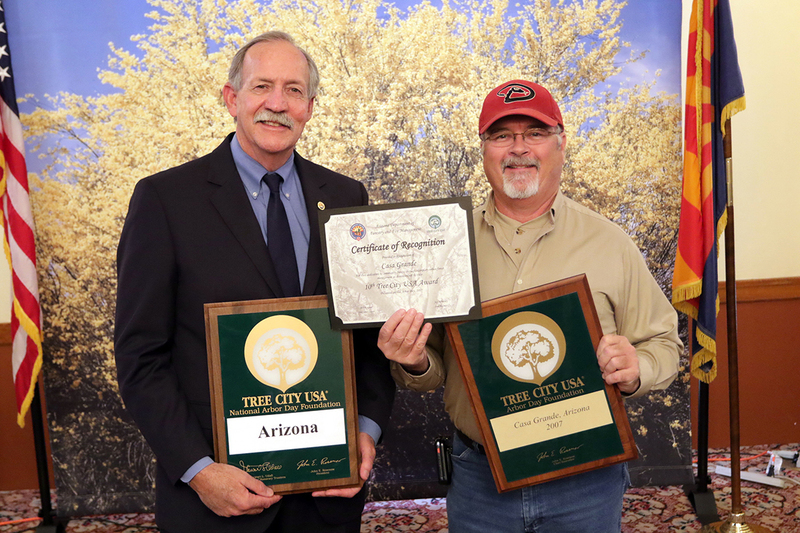 The Casa Grande Public Libraries serve as a destination and a valuable asset for the community’s enrichment, enjoyment, and educational needs. 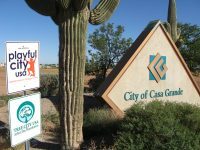 The City of Casa Grande has two libraries conveniently located that offer several programs and classes. Please visit the library page by clicking the link below. For more information, click here to visit the Library page. 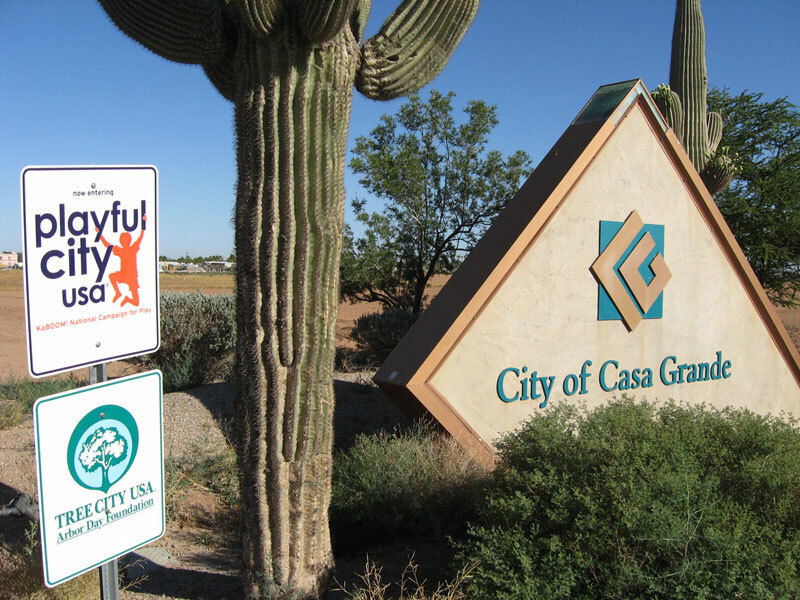 The City of Casa Grande is home to 19 parks, 17 miles of trails, and many sports fields and open spaces. These vital amenities provide the community with access to a number of year round outdoor recreational opportunities. For more information, click here to visit the Facilities, Parks and Trails page. 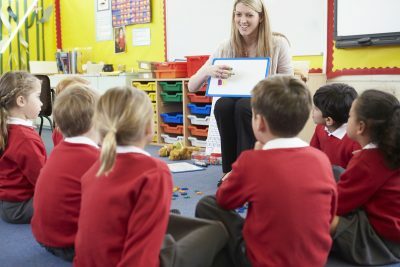 The Recreation Division provides classes and activities for all ages and skill levels, in addition to the coordination of family oriented special events throughout the year. The Recreation Division also oversees the City of Casa Grande’s pool facility, the Palm Island Family Aquatic Park. For more information, click here to visit the Aquatics page. For more information, click here to visit the Recreation Classes and Events page. Ramadas are reserved as is. 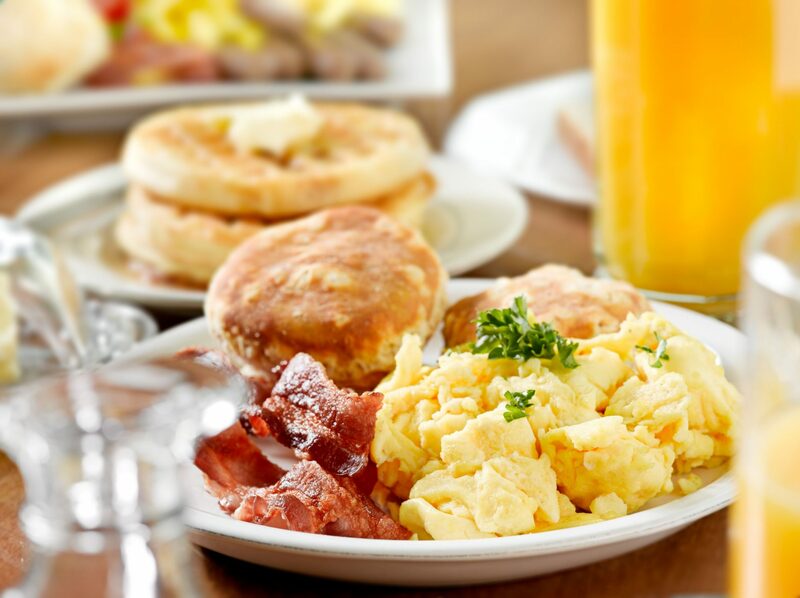 Most ramadas are equipped with electricity, picnic tables, grills, play equipment or other amenities. The Parks and Recreation Divisions do not guarantee the availability of power due to overloading, malfunctions, or vandalism. Picnic tables in the park are available on a first come, first served basis. We cannot guarantee the placement of tables due to the mobility of this equipment. Barbecue grills are provided throughout the parks for your enjoyment. Open-pit fires are prohibited. Park restrooms are open from approximately 7 am to dusk. Keys are available with a park reservation with a $60 key deposit (cash or check). Keys can be picked up the business day before the event, deposit returned upon keys being returned. Are inflatables or vendors allowed in the parks? Personally owned inflatables are not permitted in City parks. Park users must use a vendor that meets City requirements (City business license and certificate of liability insurance). Park users must notify the Parks and Recreation Office at least a week prior to reservation date. No water. Inflatables that require water such as slip & slides, dunk tanks, water tag, water balloons, etc. are not permitted. Autos, trucks, vans or other motorized vehicles may not be driven in/on or parked upon any off-the-road area (City Ordinance #12.04.160). There shall be no sale of any kind of goods in the park without prior approval from the Community Services Director and business authorization obtained from the City. In addition, the Community Services Director may require additional information such as Certificate of Liability Insurance, additional deposits, etc. (City Ordinance #12.04.020). What happens if there are fires, trash, and vandalism? The areas reserved shall be left in an orderly condition and all papers, rubbish and other debris shall be deposited in the proper receptacles. (City Ordinance #12.04.040, #12.04.100). No glass allowed in any park. (City Ordinance #12.04.110). There shall be no cutting of any vegetation or mutilation of trees or shrubs. No fires shall be made in the park except in designated fireplaces or fire rings as approved by the Community Services Director. Damage and/or litter to facilities may result in charges and may jeopardize your privilege to make future reservations. If you see vandalism in a park area or facility, please call 911, Park Rangers at 520-421-8700, or the Parks and Recreation Office at 520-421-8677. What constitutes a special event? Events open to the public or private events utilizing vendor services and specialty items, such as catering, event organizers, rock walls, game booths, canopies/tents 10′ x 10′ or larger, dog shows, or anything City staff determines as having risk potential will be assessed utilizing the special event process. Please contact the office for an application. Consumption of alcoholic beverages within Peart, O’Neil, Nutt and Elliott Park require a permit. Permits are free and issued to the responsible party for the event. Permits must be obtained in person at the Parks & Recreation Office. Can we have live or amplified music? There are three parks (Dave White, Peart, and Villago) in which amplified music is currently allowed with certain restrictions. In all cases, noise levels within all parks must remain at an acceptable level. All amplified music must cease by 8:00 pm at Dave White Park and Villago Community Park, and by 10:30 at Peart Park. Music must be kept at a reasonable level to avoid disturbance to other park users and nearby residents. Failure to comply with these guidelines may result in loss of amplified music privileges. Which parks have a first come, first serve policy? Can I receive a refund if there was bad weather? No refunds are issued. If your event is rained out, please contact our office within three working days to receive credit and reschedule your event. Credits can be applied to other reservation fees and/or other recreation program fees. Are motorized vehicles allowed on Casa Grande Mountain? No, the trail system on Casa Grande Mountain is only for use by hiking, biking, and equestrian means. The use of motorized vehicles is forbidden and posted on-site. How do I reserve a facility for an event or special occasion? A number of City facilities are available to be rented for private uses. For a complete listing of the facilities, dates of availability, and prices, please contact the Recreation Office at (520) 421-8677. Local groups may reserve a city park by notifying the Parks & Recreation Office no less than seven days prior to the date of use, although the more notice we can be given, the better your chances are of securing a park. We strive to make our programs, parks, activities, and facilities accessible to all. Please let us know what accommodations you require to make your participation more enjoyable. Park areas may be closed for service or maintenance. Please contact the Parks & Recreation Office if you have any questions. Where are the trailheads for Casa Grande Mountain? Casa Grande Mountain has two trailheads that hikers may use to access the trail system. The northern Peart Road Trailhead can be found at 1086 S. Peart Rd. The second trailhead, known as the Arica Road Trailhead, is located on the eastern portion of the mountain and can be accessed at 2090 E. Arica Rd. Click here to view the Casa Grande Mountain Trail Map.